Classic design. Timeless elegance. The scent of rich leather. 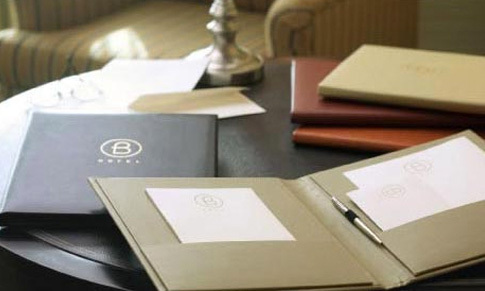 All bonded together with a sense of style to make you look as smart as your room décor. It's what memories are made of. Just the thing to keep your guests coming back for more. It's more than a fabric. It's a feeling. Simple. Clean. Inviting. A natural blend of style and simplicity, Linen Naturals is an environmentally friendly way to welcome your guests. At home where East meets West. Classic looks. Unbeatable durability. Low cost. A winning combination. 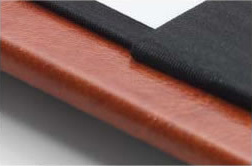 Fashioned of attractive leatherette, Classic Vinyl is the best way to look like a million on a budget. Impress Your Guests With Style... Your Style. 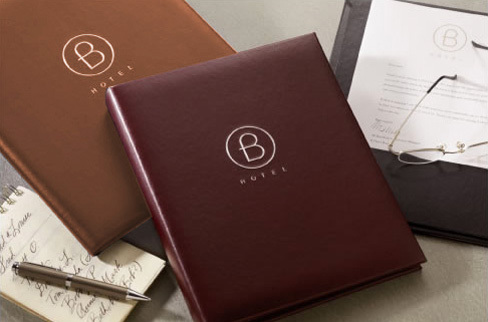 Boxerbrand room stationery portfolios are now available in nine distinctive styles to present your hotel stationery and writing materials. 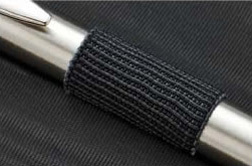 Each style features a coordinated interior lining material. 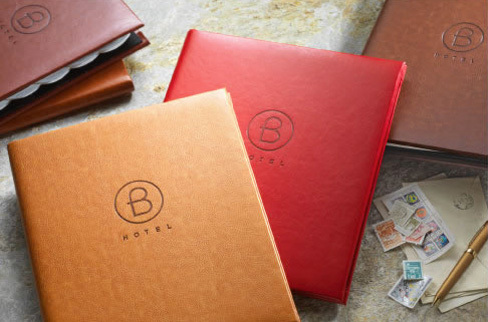 Portfolios can be personalized with foil stamping, blind embossing and most impressive of all, burnishing (Italian Ultra only). 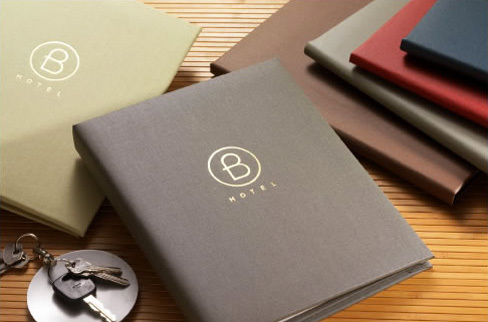 Our guest service directories come in 4 distinctive styles, each with color and texture options. 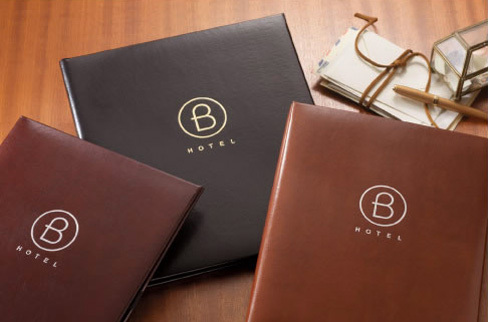 Bi-fold and tri-fold options are available as well.